Helloooo, it’s me *in Adele’s voice*. Hahaha! How are you doing? First, let me use this opportunity to thank you for all the beautiful birthday greetings, gifts and prayers you sent my way last month. I deeply appreciate it and I pray that you continuously have reasons to celebrate and rejoice! Happy ‘almost Christmas’ to you o! Lol. One of the things I love about Nigeria is that there is a greeting for everything – Happy Sunday, Happy New Week, Happy New Month, Happy TradiVersary, Happy Proposal Anniversary and so on! Don’t even get me started on my people from the South-West – eku 10 days, eku wedding preparation, lol. We love to greet shaaa. So, you see, my Happy Almost Christmas greeting is not out of place, hehehehe. I am not sure there is anyone else looking forward to the December holidays as much as I am. Pheeew, it has been a loooong, exciting, challenging, roller-coaster year and I honestly can’t wait to put my laptop away, put my feet up and just chill!!! But before chill season comes upon me fully, I thought I’d share some quick updates from the past few weeks and what the plans for the next few weeks are. Legggooo! Other visa shenanigans. November was visa season for me. I finally got around to applying for a renewal of my UK visa. Brethren, I am yet to recover from the cost of that visa. I had been saving for about 8 months in my PiggyBank account but that still did not make the heartache from the debit alert any easier. I am not sure I prayed as hard as I did for my student visa to France like I did for this tourist visa o, lol. Now I understand why people come to church to share testimonies about being granted visas. 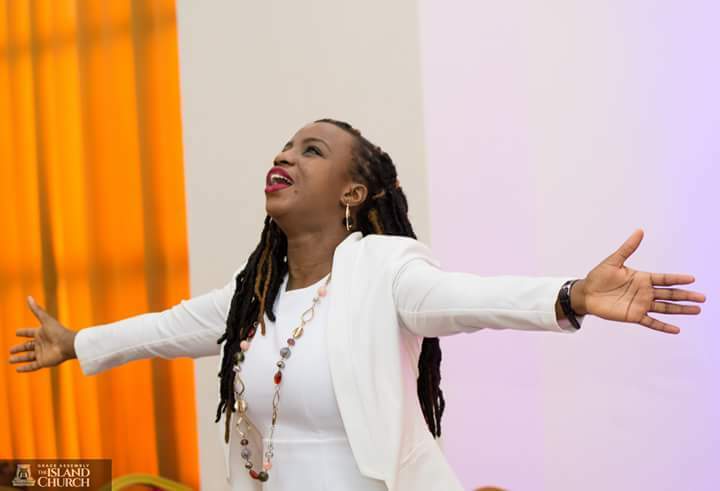 This is my own testimony – somebody shout Halleluyah!!!!! YNaija recognition. 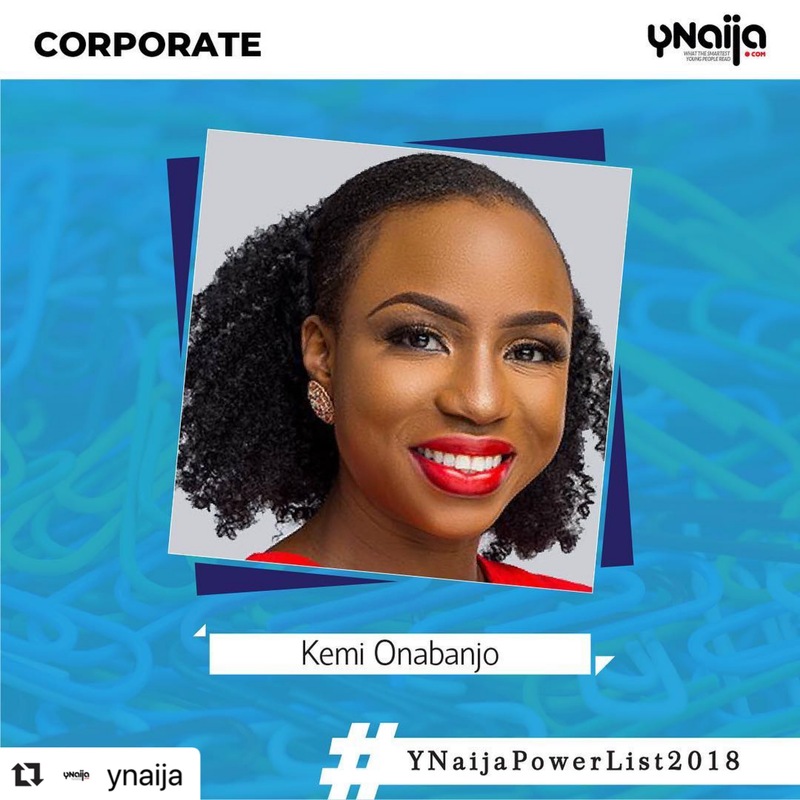 A few weeks ago, YNaija recognized me on the 2018 power list of people in Nigeria under the Corporate category. First, somebody shout Halleluyah again!!! Okay, I did not see this one coming at all! I love love love surprises, and this was such a pleasant surprise. It was one of my best friends that sent me the link and when he did, I thought he was the one featured on the list. I already said ‘osheeey, power list somebody’ before opening the link, lol. *covers face in shame* I know – there is no difference between me and the people that saw my bridal photo shoot photos and started wishing me ‘Happy Married Life’ before reading the caption, hehehehehe. Anyway, I am super grateful to God and the people at YNaija for the recognition, especially as it was unsolicited. 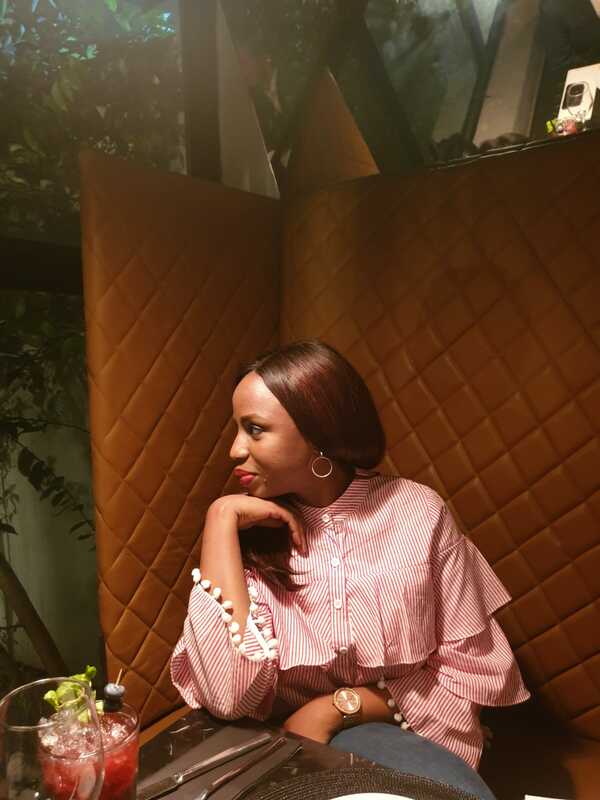 The timing was also great – there is nothing as refreshing as some validation when you are right in the middle of a season of questioning your capabilities. Yes, there are days when I feel like things are not making sense and, on such days, God sends some assurance my way. This recognition was definitely one from God and I am very thankful for it. I am just so happy they used a peng photo, lol! Moz on my mind. Yessss!! The countdown to my coastal Christmas in Mozambique with Naija Nomads has started. Once they add you to the Whatsapp group, you know it is almost show time!! I am super excited about this trip, especially since the itinerary seems quite chill. I am looking forward to trying out more water activities (note to self – ‘Kemi, make sure your hair is water compliant’) and eating to my heart’s satisfaction. Even though my beach body has not arrived, we move! The beach will have to manage whatever body I bring to it, lol. Giveaway planning. We are a few days away from December and it’s giveaway season again!!! Yaaaay!!! I still have loads of fond memories from last year’s giveaway. 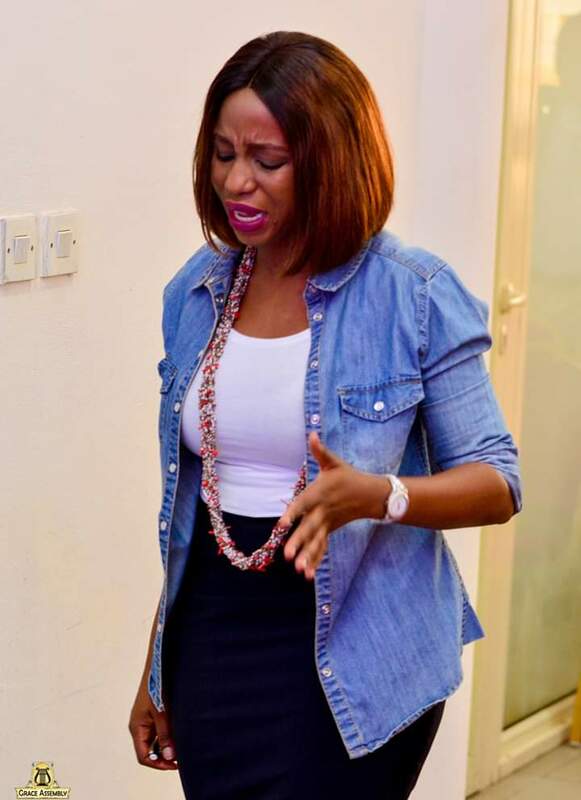 From the winners who become givers (shout-out to Doyin J, Olori Ishola, Tomilola), to the people who were rooting for their friends to win internships (shout-out to Iwarioluwa, Marie-Belle); from the election riggers that came to the DM to campaign to the prayer warriors dropping some very hilarious and hectic prayer points – I was thoroughly entertained all through December. I also learnt a lot and I was left richer and more blessed from that experience. For this year’s giveaway, the theme is GROWTH – as this has been the overarching theme in my life this year. It will be 12 gifts that will hopefully improve people’s lives and set them on a path to continuous growth in 2019. And YES – there will be an international trip (it is all part of growth naa) in collaboration with Naija Nomads as well. So be on the lookout on my Instagram page and let the prayers for favor start going up! Shandaaa!!! Hahahahaha. The 2018 giveaway is here – yaaaay!!! One of the most incredible feelings I experienced from last year’s giveaway was the joy in my heart when winners put up the photos of their gifts and express their gratitude all over again! If I felt that way, can you imagine how happy God is when we remember to say THANK YOU even after the fact? As we countdown to the end of the year, it is important that we also count our blessings. Life might have been tough, but God has been good. I am going to write my annual thanksgiving letter soon and I know that I will need extra sheets to comprehensively capture all that God has done for me this year. I encourage you to take out some time to be mindful and thankful for what God has done – the obvious things, the not-so-obvious things, the things that got better and the things that could have been worse, the big things, the small things and everything in between. Friends, what are you thankful for? And what are the things that hinder us from being as thankful as we should be? Please share with us in the comments section. *now humming * Nara Nara e, Nar’ekele mo! 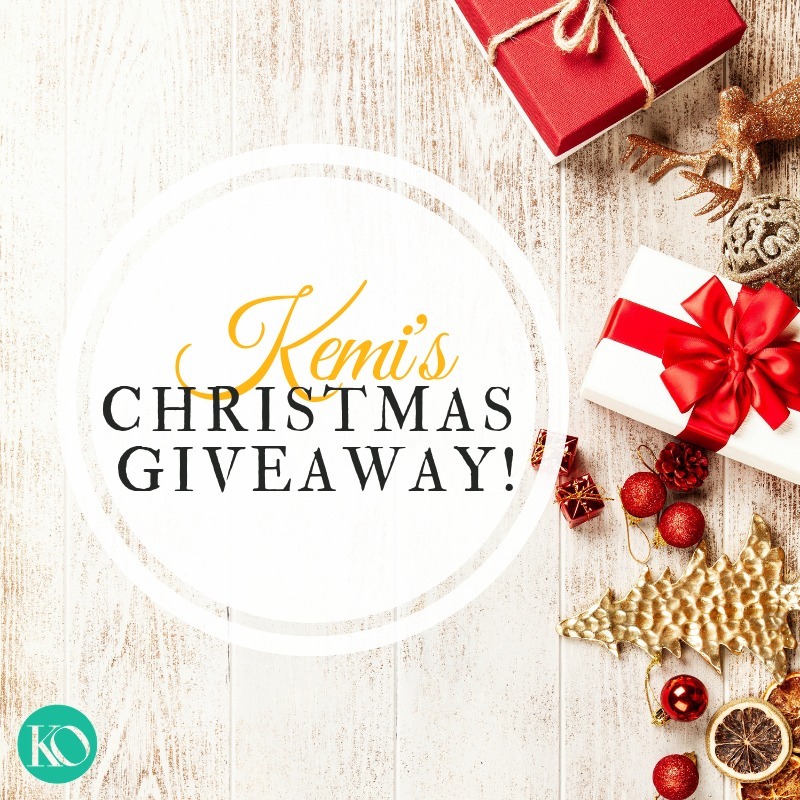 Kemi’s Christmas Giveaway on my mind, Lol! Gosh! Oh Lord let me win Naija Nomads’ international trip o! Been dying to go on a trip with them. Lord make it happen biko o! LOL! Well done, Kemi. Super duper proud of all you have achieved this year. God be praised! I am grateful for GROWTH…yes, I have truly grown this year. And though there were times I wondered what the heck I was doing, God showed up through so many things and people to show that I am on the right track. I was nominated for an award twice this year. I hosted two big events that almost drove me crazy but God made it come through. My family and loved ones are safe and healthy to the glory of God. And I am alive and kicking, what else is more beautiful than that? Lord, I give you ALL the praise! Next year is already jamb packed with activities for me and I say thank you Lord for making it so. Amen o!! See me joining my faith with yours that you transition to an international Nomad in Jesus name!! Your ginger is gingering me! Hehehehe. Yessss Nene – I saw with my korokoro eyes all the big things you dared and did this year! So proud of you! And to think next year is already loaded – yaaaaay!!! God must be pleased with how you are utilizing all the gifts He has given you! Well done sis! I am grateful for you, Nene. You have been a steady and consistent source of encouragement and I pray that God continues to show up for you like you show up for me in Jesus name. Love you girl!!! I’m grateful for growth and the gift of life. Had a serious health challenge but God took absolute control. This year surprised me the most but still, I rise. Wow! Praise God for His healing and His intervention in your health! I join you to thank God for your life and I pray that affliction will not arise the second time in Jesus name. Thank you dear – we keep soaring on His wings in Jesus name! Your blog just makes me happy always. Reminds me to not worry about a thing! I especially love the fact that your life revolves around Gods approval. Keep this up! Oh, and I hope I get to be a part of this year’s giveaway…please keep me posted? Thank you sisthren! How is that holiday of yours going? We are coming to join you soon o!!! There is no alternative to God’s approval – I have tried but life is too difficult without God and me, I don’t like stress, lol. Here is praying for continued obedience even when it is not convenient, in Jesus name. Amen!! Re giveaway, shall we see in the Whatsapp? Reading your blog posts fills my heart with light. There is always this feeling everytime that leaves me happy and clearer on things that I too would love to do. Thank you ma’am. Really hope to meet you one day. I’m grateful for my relationships. This year was tough! Really tough! But I had a great support system that kept me going. I’m also grateful for my relationship with God. Felt like those hard experiences pushed me closer to Him and I realized then, that He had always been there, carrying me. Really grateful. As for Christmas giveaways, I’m soo ready! In fact, I’ve already carried the stool I’ll be using to sit inside your page. Gats to win something this year. I also hope I’ll be able to give something out sha. Love you, Kemi. Hahahahaha! Na real carry stool, lol! Thank you for your lovely comment, Seun. I hope I get to meet you soon too. Let’ make it happen! Hope is not a strategy, abeg. I really like your ‘grateful for relationships’ line – it made me reflect on my relationships and the strrrrooong support crew that Jesus has placed in my life. I am thankful for them too. And please, feel free to do your own giveaway, no matter how small. Deal? Such a joy reading this. Love the way you capture moments in words. I really love the way you have a picture for every reaction you have. It is like you have you own personal collection of memes. It also shows how much work you put into your posts and it makes it more interesting. 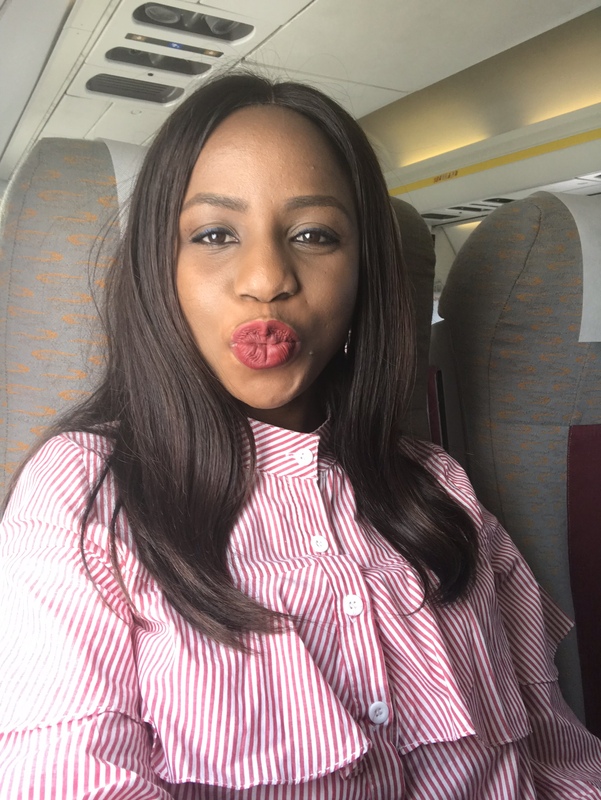 Congratulations on your Y-naija feature!!! Forbes here we come!! Thank you for finding time to share your experiences!! Re the photos, lol. To be honest, half of them are from my chats with some of my close friends. In the middle of a conversation I sometimes would rather send a picture to show how I am feeling, rather than use an emoticon or type a long story. And then they come in quite handy when I am writing and I need to show some reactions as well. Enjoy what is left of the year! Cheers! You are welcome dear!! I was very inspired by what you did and I did not forget – see its a whole year after and its still fresh in my mind. Continue to inspire us ojare. Hahahaha!!! Opter-Out General of the Federation!!! Good to see you here! Just start praying for favor – dazall! Whoop whoop! Thankful for growth. Hoping to grow more in 2019! We never stop growing . Yesssss!!!! Indeed, we should never stop growing and even though growth is sometimes uncomfortable, we must embrace it. Helloooo, it’s me *in Adele’s voice* HAPPY BIRTHDAY AGAIN DEAREST AUNTY K! I love how everything works together for your good, so beautiful! CONGRATULATIONS on the YNaija recognition, Forbes, we moveeee! We are here o, for the Christmas giveaway. My name is Nnomadi! We fire prayers, Shandaaa (Rhymes) *I’m sorry* I can’t wait for your vacay, you deserve and NEED plenty rest! Moz, we’re coming! This year, I am grateful for God’s favour and leadings. Super grateful for that! I’m also grateful for you, thank you for being such a bright light to me and a lot of us. I love youuuuu! You are here!!!! Yaaaaaaayyyyyyyy!!!!! Did you say Shandaaaa Rhymes? Hahahaha. I refuse to be tired of you, lol. 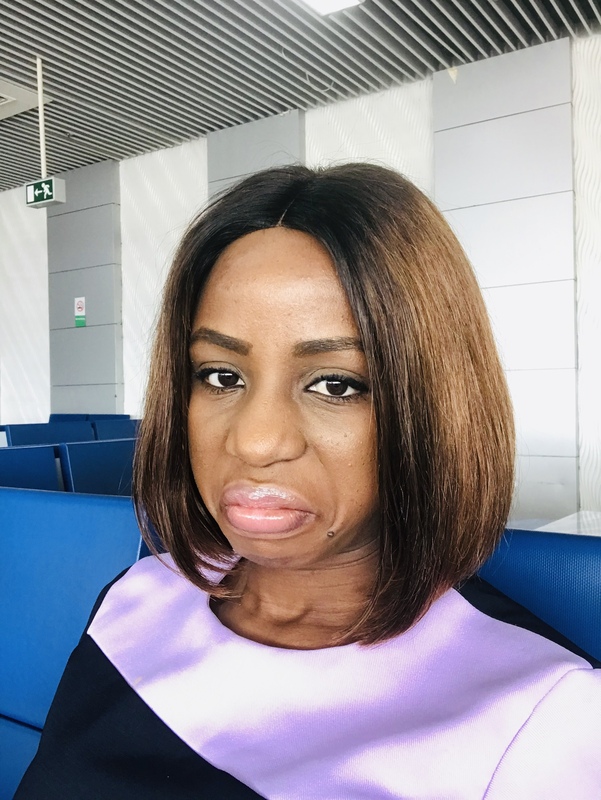 Nnomadi for Naija Nomads – I see you, hehehehehehe. 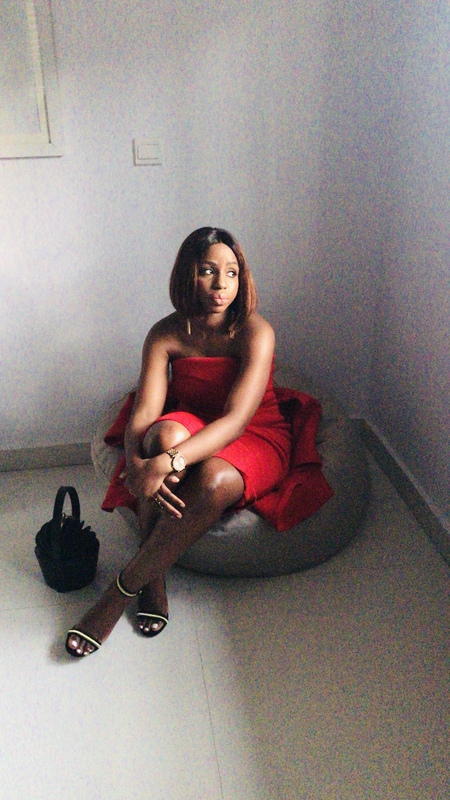 re YNaija – thanks dear! I receive the Forbes prophesy! Thank you for the prayers and God bless you too!! Just finally read this post, that’s such a lovely necklace in the prayer photo! Hehe! Well Done Kemi! Always so proud of you and all the achievements. God keep blessing you. Hahahaha! Thank you again, my darling Sayo for the lovely necklace. God bless you my sugar! Thanks and thanks again mi love – I add my shandaaa to yours for the trip! Hmm.. GROWTH. Where do I begin? I’m grateful for communion and fellowship with God. I’m grateful that He started to send me mentors for different areas of my life when I asked for only 1. I’ve made so many unbelievable growth friends this year! I’m grateful for the women in my life!!! Whoop!!! I’m proud to say I know amazing women… Let me not start the party over here. I’m grateful for business growth. I can’t thank Him enough for this one. I’m grateful for Clarity that keeps on getting sharper. It’s a privilege to personally experience that kind of Grace. I’m gratfeful in advance for my Christmas giveaway that I’m going to win. #Kabashingseriously and I’m grateful for those who will win my own giveaway too. Awwwww! Adrenaline mi! I am legit speechless. I love your thanksgiving list and I join you to praise God for all of His goodness! Here’s to a 2019 of love, grace and service! Amen!